Looove this cookbook! Sophie Dahl is just adorable first of all. She was beautiful when she was big and voluptuous and she's beautiful skinny (and uh, still voluptuous). Does she still model? I'm not sure, but I think she's found a new calling. Here's a soup that's cooking on my stove right now. 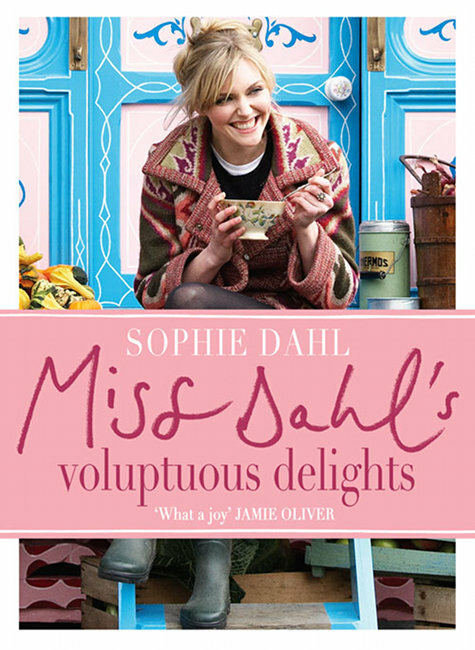 The cookbook has great recipes and, as a bonus, some great storytelling by Miss Dahl (yep, she's also a writer taking after her grandpa, Roald Dahl). Heat the oil in a heavy-bottomed pan, put in the onion and sage leaves and cook n a low heat for about 5 minutes. While that's cooking, heat the stock in another pan. Stir the spinach into the onion mixture and cook for another few minutes. Pour in the hot stock and cook, covered, on a low heat for 10 minutes. Add the barley and leave it cooking for another half an hour or until the barley is soft. Season to taste. When it is ready, ladle into bowls and sprinkle the Parmesan on top.